Zombies, Run! 5k Training Details – Zombies, Run! I know you’re eagerly awaiting more information about Zombies, Run! 5k Training and we’re now ready to completely lift the lid and reveal full details. 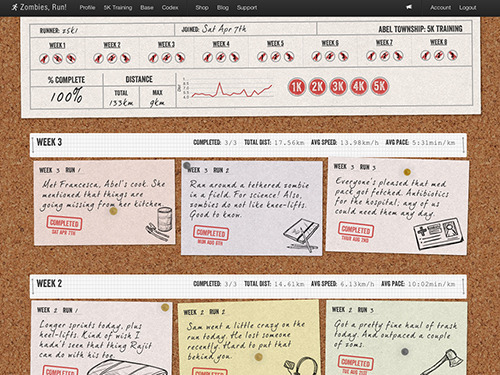 Development on the app is continuing apace, so it won’t be long before you’ll be able to get your hands on it. Once we have a concrete release date you guys will be the first to know. Zombies, Run! 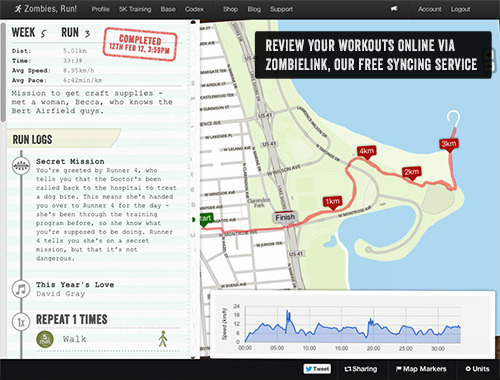 5k Training is a completely separate app to Zombies, Run! and focuses on getting beginner runners up to speed to the point where they are able to run a 5k race with no problems. We do this through an eight-week training program, designed in collaboration with Julia Jones and Shauna Reid of Up and Running e-courses. It’s a professionally designed training schedule combined with our unique brand of storytelling and all set within Abel Township and the rest of the Zombies, Run! universe. The 25 training missions found in Zombies, Run! 5k Training all take place between missions 1 and 2 of Zombies, Run! and describes Runner 5’s early days at Abel Township. If you’ve played Zombies, Run! already then you’ll be interacting with a lot of familiar characters as they help motivate you on your new training regimen. If you’ve not played Zombies, Run! before then this is the perfect introduction the world and, once you’ve completed the eight week course, you’ll be in great shape to start playing through Zombies, Run!’s epic story. As you can see from the screenshots, 5k Training looks very different from Zombies, Run! We think this better reflects the nature of the app, as a training aid. This aesthetic continues onto ZombieLink, where you’ll be able to track your full progress as you complete each mission. 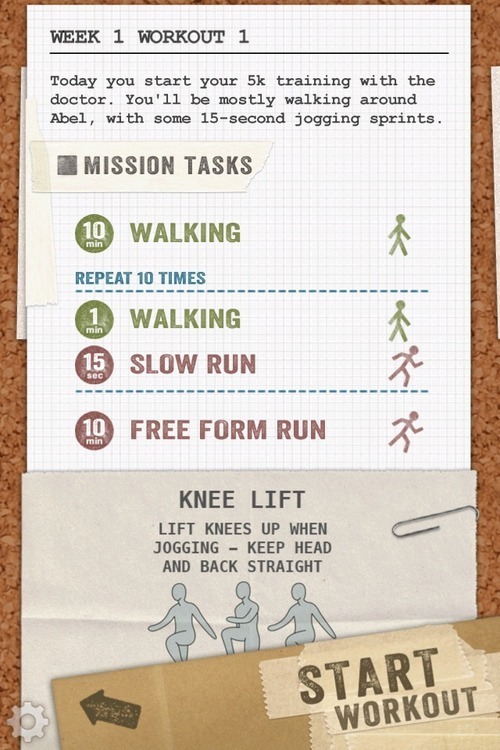 Each mission has very clear instructions; you will be alerted to exactly what exercises are involved in each workout right from the mission start screen and instructions are given aurally by the inhabitants of Abel Township.